Raman Spectroscopy is an optical technique that is especially suited to in-situ reaction monitoring in chemical synthesis. However, when low concentrations of the reactants are involved it is no longer feasible due to the intrinsic weakness of the Raman scattering of the reagents relative to the solvent. To circumvent this problem of sensitivity one can obtain an enhanced Raman signal of specific reaction components using techniques such as Surface Enhanced and Resonance Raman Spectroscopy. The use of Ultraviolet-Resonance Raman (UV-RR) is illustrated here by work carried out by a group of researchers in the Netherlands at the University of Groningen. Their aim was to demonstrate the feasibility of using UV-RR as an online reaction monitoring technique for low temperature catalytic oxidation of organic substrates (e.g., bleaching) in aqueous environments. An important industrial application of the use of low temperature catalysts is the bleaching of cotton fabrics. Figure 1: Schematic of the model reaction for demonstrating the technique. 4-Vinyl-benzoic acid is oxidised in water with H2O2 to form the reaction products, an epoxide and traces of the corresponding carboxybenzaldehyde. A manganese complex was used as the catalyst. Abdolahzadeh et al used the epoxidation of alkenes, catalysed by a manganese complex, as a proof of concept model reaction. Manganese complexes of the ligand 1,4,7-trimethyl-1,4,7- triazacyclononane (TMTACN) were identified as highly effective catalysts for low temperature bleaching in the early nineties. However, due to the low substrate solubility in aqueous conditions one is generally dealing with low substrate concentrations (<10 mM). A key challenge in reaction monitoring in such conditions is having the ‘sensitivity’ to work with such low concentrations. Figure 2: Comparison of the Raman ‘fingerprints’ for the 4-vinyl-benzoic acid and the epoxide product. Spectra were taken on solid state samples using an excitation wavelength of 785 nm. The key feature used for monitoring the reaction kinetics is highlighted at a Raman band around ~ 1631 cm-1. 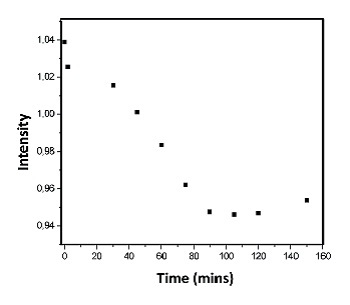 A schematic of the chemical reaction used for the demonstration is shown in figure 1. It illustrates the oxidation of 4-vinylbenzoic acid in water with H2O2 catalysed by the manganese complex. The reaction progress was monitored by recording the resonance Raman spectrum and monitoring the change in intensity of selected spectral features relative to an internal standard (Na2SO4). 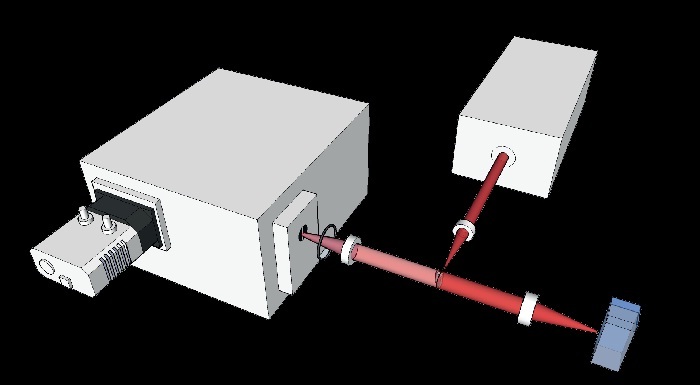 Figure 3: Schematic of the experimental setup in the back-scattering configuration. A picture of the optical layout is included below. 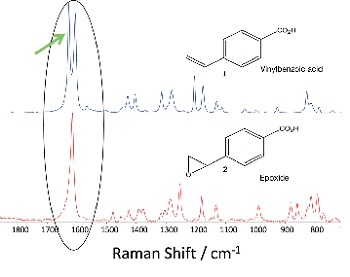 Spectra taken on pure samples of 4-vinyl-benzoic acid and the epoxide and aldehyde products – see figures 2 and 5 – show the main Raman feature used to monitor the reaction progress at a Raman shift of 1631 cm-1. Solid state samples excited at 785 nm produced the spectra in figure 3 whilst solutions (1 mM) were used for those of Figure 6. 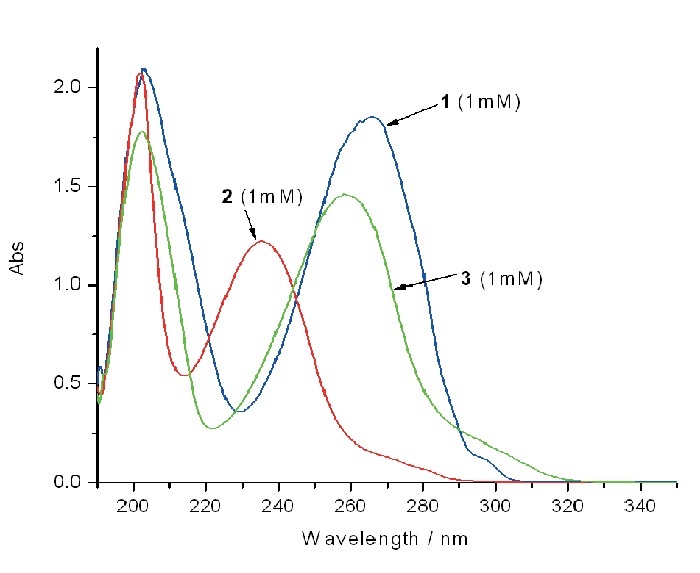 The corresponding UV absorption spectra are shown in Figure 4. Figure 4:The corresponding UV/Vis absorption spectra are shown in B. A series of spectra taken at different times under the real experimental conditions, with concentrations of 1 mM, are shown in figure 5. The intensity of the Raman band at 1631 cm-1 can be seen to fall as the reaction progresses. Figure 6 shows the variation of the intensity as a function of time. Figure 5: A shows the resonance Raman spectra (in 0.1 M NaHCO3 buffer, pH=8) of pure samples of 4-vinyl-benzoic acid (1, 1 mM), the epoxide product (2, 1 mM) and the carboxy-benzaldehyde (3, 1 mM) product (internal reference Na2SO4 0.25 M). 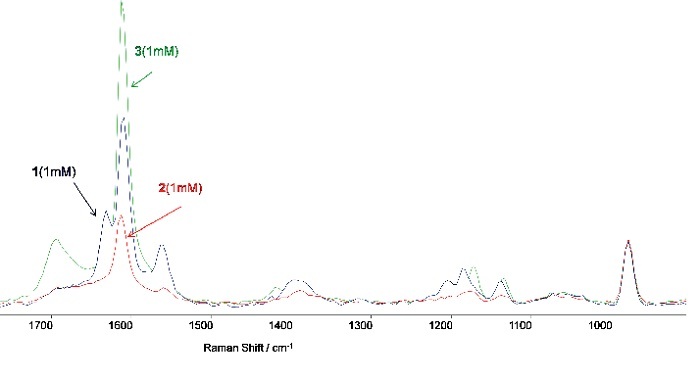 Figure 6a: A series of captured Raman spectra illustrating how the variation in intensity of the feature at 1631 cm-1 facilitates monitoring of the reaction process through time. The standard Raman band from Na2SO4 (0.05 M) is evident on the right. 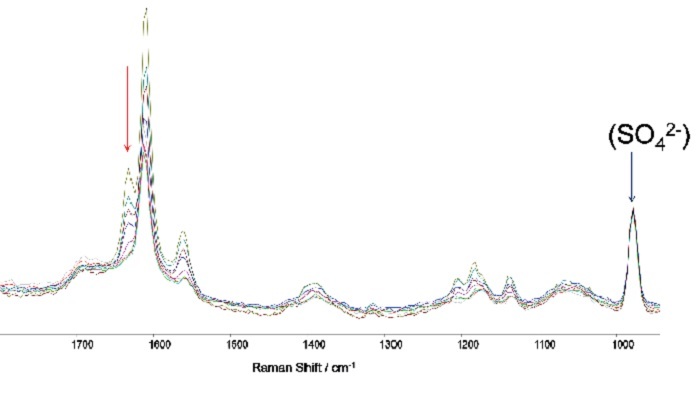 Figure 6b: Variation with time of the intensity of the Raman band at 1631 cm-1.